April 14 is Pan American Day, a holiday that commemorates the First International Conference of American States. Pan American Day originated in resolution adopted by the Governing Board of the Pan American Union on May 7, 1930. 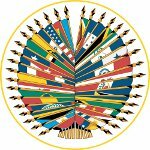 The very first Pan American Day was observed on April 14, 1931 and it was introduced by the International Union of American Republics, a forerunner to the Organization of American States (AOS), as the commemorative day of creation of the Commercial Bureau of American Republics on April 14, 1890. AOS was founded on April 30, 1948 with the goals to strengthen peace and security, prevent possible causes of difficulties, seek solution to any political, judicial and economical problems, limit conventional weapons, promote economic, cultural and social development. This holiday is observed by the countries of North and South America and it's a great occasion of all Americans throughout the Western Hemisphere to strengthen their bonds and unite within 24 American nations. In some states of America it's a national holiday (e.g. Honduras, Costa Rica, Uruguay, Nicaragua). The USA observes Pan American Day by Presidential proclamation. The entire week, on which the holiday falls, is observed as Pan American Week.